THIS COMPUTER HAS BEEN GIVEN TO ME IN A VERY BAD CONDITION. CURRENTLY WORKING ON RESTORING, I WILL POST THE BEFORE AND AFTER PICTURES HERE AND ALSO THE LINK TO THE RESTORATION BLOG. 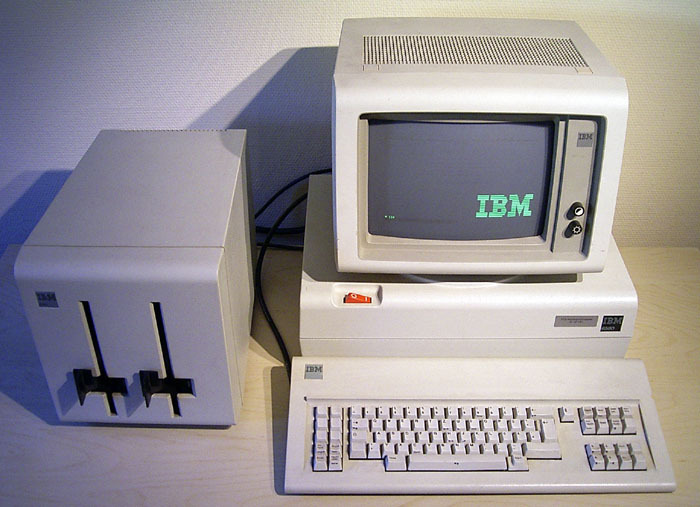 The IBM Displaywriter System 6580 was a dedicated microcomputer-based word processing machine that IBM‘s Office Products Division introduced in June 1980.The system consisted of a central processing unit, based on the Intel 8086, in a desktop case, a monochrome CRT monitor atop the CPU, a detached keyboard, a detached dual disk drive that used 8-inch floppy disks, and a detached daisy wheel printer. The system booted from an 8-inch floppy disk that stored IBM’s internally developed word processing software. The operator stored the “documents” (i.e., data files) on additional diskettes. “A basic system — consisting of a display with a typewriter-like keyboard and a logic unit, a printer and a device to record and read diskettes capable of storing more than 100 pages of average text — cost $7,895 and leased for $275 a month.” The basic word-processing software was Textpack E, with simple mail merge; Textpack 2 added support for double-sided disks, networking, spellchecking, and print spooling; Textpack 4 added automatic hyphenation, columns, and more sophisticated merging; and Textpack 6 added automatic footnoting and outlining. Other options included multilingual dictionaries, graphics, and reports. 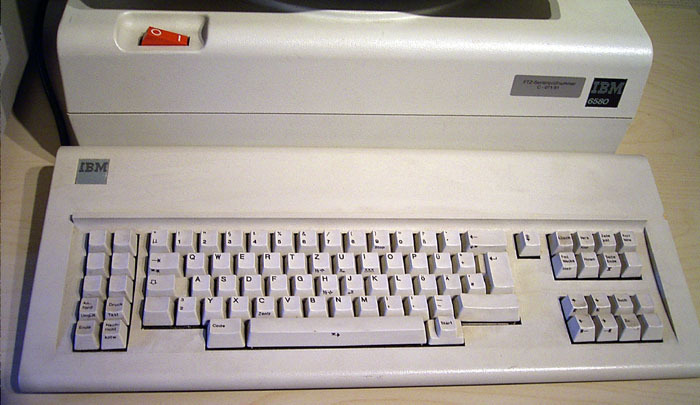 The Displaywriter’s features were comparable to other dedicated word processing machines of its era. The features included mail-merge, with fields designated as a01, a02, a03, etc. Elementary arithmetic could be applied to the fields. 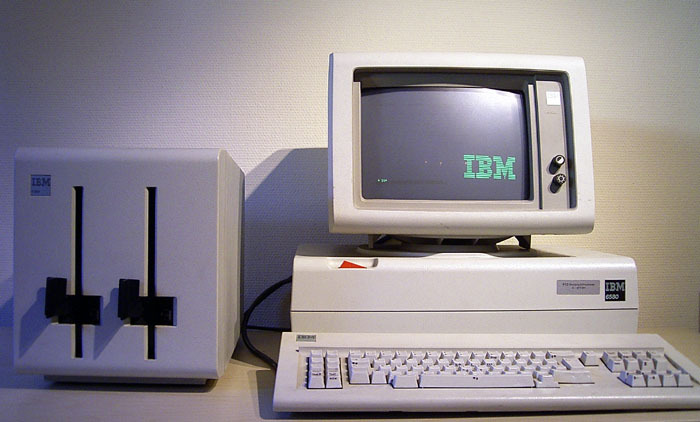 Because of Displaywriter’s popularity, IBM later produced DisplayWrite software for the IBM Personal Computer, with a similar user interface and equivalent to Textpack 4. US$7,895 (equivalent to $23,449 in 2017) / leased for US$275 a month.